I want to take this opportunity to say thanks to all of you for reading, and to my fabulous Axios co-workers (and supportive family) that make Login possible. We'll be off Thursday and Friday, and back in your inbox on Monday. We'll have breaking news on Axios.com. Plus, my interview with Bill Gates will air Sunday at 6:30pm ET/PT on "Axios on HBO." 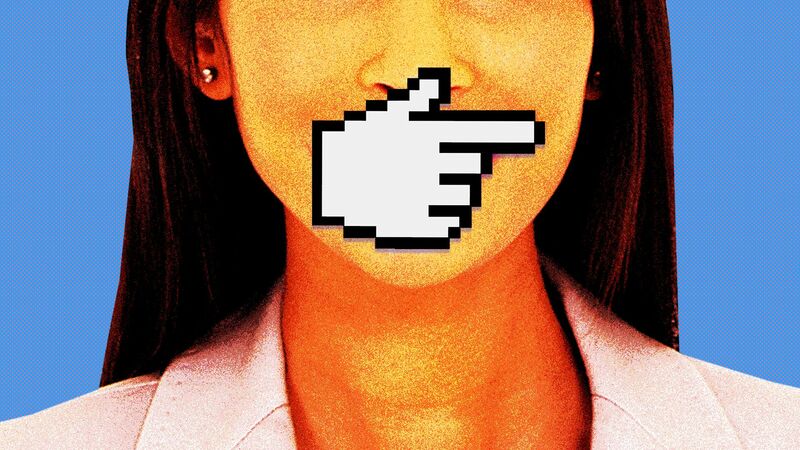 The tech industry loves to tout itself as a meritocracy, but its inequalities remain sharp: Not only are women vastly underrepresented, they are also highly likely to encounter sexual harassment. By the numbers: Even with a heightened awareness of such issues, spurred by the #MeToo movement, a third of women in tech say they have received or witnessed unwanted physical contact in the last year, according to a recent survey by FTI Consulting and Mine the Gap. Nearly half experienced or witnessed harassment or assault in the last 5 years. Those figures for the tech industry were worse than in other industries represented in the survey, including notoriously male-dominated fields like energy and finance. "People think that the tech industry is very progressive," FTI's Elizabeth Alexander tells Axios. But, she adds, open workplaces and flat organizational charts don't equal an inclusive workplace — and might even create opportunities for unwanted contact. Why it matters: There is a lot of talk in the industry about teaching girls to code and recruiting more women for tech jobs. But without addressing sexual harassment and other forms of bias, tech companies won't be able to attract a more diverse workforce and retain those entering the field. What's next: Alexander says tech companies need to examine themselves with a tougher eye on everything from office culture to sexual harassment training to how well represented women are in leadership. "You need to treat sexual harassment and other sexual misconduct as workplace safety issues," she said. Even microaggressions and unconscious bias can lead to a culture where harassment is more likely to occur. "Go beyond what's legally required," Alexander says. Among her recommendations are sexual harassment trainings that are frequent, mandatory for all employees, and interactive. "You can't get away with a webinar once every 18 months." The bottom line: The tech industry still has a lot of work to do to foster an inclusive workplace. 2. Zuckerberg plays defense. Again. Facebook availed itself of a well-worn strategy on Tuesday night: Put Mark Zuckerberg on CNN in a continued attempt to defuse a controversy. In March he was on TV confronting the Cambridge Analytica scandal. This time, it was allegations that he and COO Sheryl Sandberg bungled and concealed that and other scandals to hit the company over the last two years. The bottom line: Zuckerberg stood by Sandberg and maintained he won’t step down as the firm’s chairman, less than a week after a major New York Times investigation painted a less than flattering picture of the pair. Axios’ David McCabe has more from the CNN interview here. "When I read the story in New York Times last week, I didn’t remember a firm called Definers. I asked our team to look into the work Definers did for us and to double-check whether anything had crossed my desk. Some of their work was incorporated into materials presented to me and I received a small number of emails where Definers was referenced." The defensive play was only part of another very busy day in Menlo Park. Both Facebook’s main platform and Instagram experienced outages. Some users had trouble accessing Facebook’s ad platform, per Bloomberg. Toca Boca, known for its open-ended play apps for young children, is in the midst of the biggest shift in its history. It's simultaneously moving its focus toward older kids and to a model that embraces in-app purchases rather than one-time upfront payments. Why it matters: The move is likely to encounter pushback, but is part of a broader industry shift to focus on recurring revenue. "This is really a very big step for us as a company," acknowledges Toca Boca president Caroline Ingeborn in an interview. Shifting to an in-app purchase model will allow the company to bring together its various worlds, provide more frequent updates and offer various perks to an older set of 6–9 year olds. The company has spent months working on the new setup, trying to offer a range of options to customers and clearly label what is free and what is paid. "We don’t want to fool anyone," she says. "We want this to be as clear and transparent as possible." It's been testing the new approach in Canada, Singapore, Hong Kong and Taiwan since September. Toca Boca says both downloads and purchases have exceeded expectations in those countries. The company is also taking a new approach to licensing. Toca Boca had a unisex clothing line that sold at Target, but that effort has wound down. Ingeborn says merchandise is still of interest, but the company is focused on categories kids like to get, such as stickers and toys. "Very few brands have successfully been able to go from digital to physical," Ingeborn says. "That is a very big bet we are doing." LinkedIn, the professional social network Microsoft acquired in 2016, is testing its own version of Snapchat's Stories (short video clips) as a feature for college students, dubbed Student Voices. Why it matters: LinkedIn wants to appeal more to the 46 million college students and new grads on its network by giving them tools they're familiar with, reports Axios' Kia Kokalitcheva. Details: Student Voices could also become yet another spot where LinkedIn can place ads (a spokesperson says the company is currently focused on understanding how people use the features). Students will see a section at the top of their homepage feed with a video collection for their school as well as for colleges nearby. During the first seven days, a video uploaded via this new feature will be included in their school’s collection, after which it will still be available on their own profile. Yes, but: This means LinkedIn's Student Voices videos, unlike Snapchat's Stories, don't vanish after a short time. That could confuse users, who may view the feature as a way to share silly and unpolished videos that won't live forever on the internet — and certainly not be seen by prospective employers. According to a LinkedIn spokesperson, uploading these videos works similarly to uploading other videos to a user's profile. Of note: TechCrunch was first to confirm LinkedIn's plans after social media consultant Cathy Wassell spotted the feature. Google on Tuesday said it had taken down additional accounts implicated in online foreign influence operations aimed at least in part at the United States. But it did so in a decidedly understated way, David notes. It posted the information in an update at the bottom of an August blog post, also doing so just two days before the Thanksgiving holiday. The big picture: The search giant has largely kept its head down even as Facebook and Twitter talked more publicly about online disinformation. Details: Google exec Kent Walker said in a blog post update that since August 23, when it disclosed takedowns of accounts linked to Iran, the company had "identified and terminated a limited number of accounts linked to coordinated influence operations, including while sharing English-language political content in the U.S."
The company removed an additional blogger site, 34 YouTube channels, and 6 pages on Google+ that were related to "Iran-linked operations." The YouTube channels had 20,794 total views in the U.S. on English-language videos. It also removed a YouTube channel — with only 94 views in the U.S. on one English-language video — linked to Russia's Internet Research Agency. The FCC is expected to release a new version of its national broadband speed report, the first since 2016. Nielsen named IBM Watson executive David Kenny as its new CEO. Kenny had been at IBM since 2015 when it acquired the digital and data assets of Weather Channel parent Weather Co., where Kenny was chief executive. Ramen for one, with no interaction with other people? Right this way.